Writers have always had a difficult time balancing the two desired aspects of Superman: as Superman, he needs to be super strong, invulnerable, and basically capable of accomplishing anything, but as a modern, balanced character he also needs to be vulnerable and flawed. Pushing too far in the ‘perfect’ direction can lead to boring stories, but pushing too far in the ‘flawed’ direction makes him less, well, Super. But I think the answer to this conundrum has been with us all along, and it comes in the form of a familiar face: Supergirl. So I wrote an article about it on Kulture Shocked. 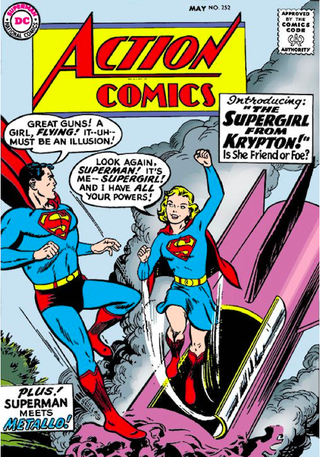 Supergirl completes the mythos of Superman in ways he can’t alone, and I think she should be recognized more often for what storytelling elements she brings to the table. Let me explain how.